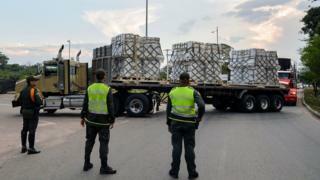 Venezuela’s self-declared interim leader has set up a confrontation over US aid by calling for Venezuelans to cross borders and bring it into the country next week. 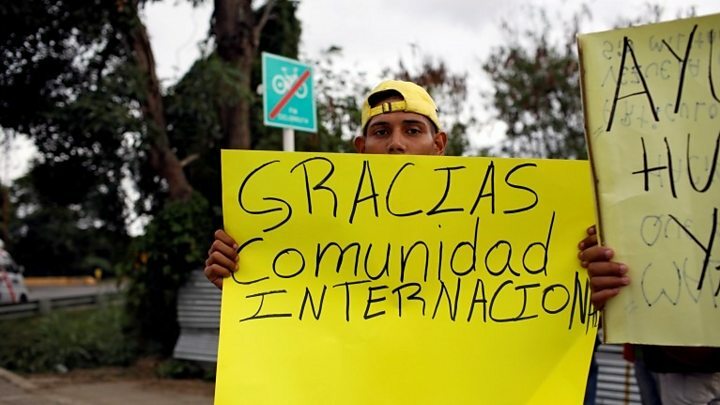 Juan Guaidó wants a “humanitarian avalanche” and “caravans” to go to the borders to get the aid next Saturday. Outlining his plans for 23 February, Mr Guaidó, who is leader of the opposition-controlled National Assembly, urged Venezuelans to mobilise en masse in all of the country’s states. 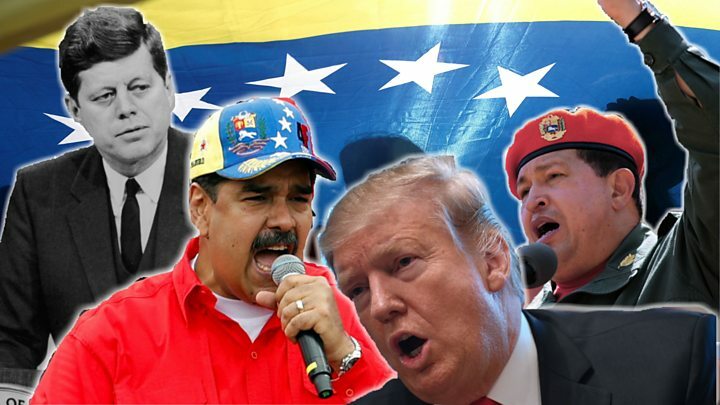 In an earlier tweet he said 600,000 people had signed up as volunteers to help bring in the aid and appealed to the military – which has so far remained loyal to Mr Maduro – to “put itself on the side of the people” and let the aid in. His Vice-President Delcy Rodriguez meanwhile alleged that the US aid was contaminated with carcinogens “to poison our population” and described it as a “biological weapon”, Spanish newspaper El Mundo reported.